IT departments are continually being asked to do more with less. They’re also working to meet the increasing demands of their customers. Clients who are accustomed to Amazon-like IT interactions outside of the workplace. The IT Service Management arena is no exception. In an effort to continue to improve our ability to meet the needs of our clients, TeraThink is now a ServiceNow partner. Our partnership with ServiceNow strengthens our ability to bring best-in-class solutions to our clients looking to overcome these challenges. 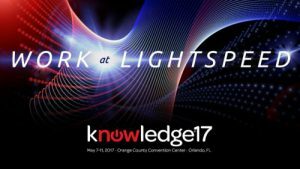 To further our partnership, last week I attended Knowledge17, ServiceNow’s annual conference in Orlando, FL. Over 15,000 ServiceNow customers, partners, and associates gathered together to exchange ideas, experiences, and advice. The mixture of keynotes, labs, customer success stories, and demos ensured a little something for everyone. This is an important question. Simply put, ServiceNow is a truly disruptive force in the marketplace. They have become the market’s leading vendor in the IT Service Management (ITSM) space. They continue to expand their capabilities with a suite of business-focused applications. These applications span from finance to marketing to HR, as well as other areas. ServiceNow is a pioneer for delivering cloud-based ITSM applications and capabilities. They have improved the customer experience while removing unnecessary complexities from the process. This success is reflected in ServiceNow’s growth. In 2016, ServiceNow’s sales grew to $1.4B, representing a 38% growth rate. This earned ServiceNow the title of the fastest-growing enterprise software company with more than $1B in revenue. Built on an enterprise-grade cloud and security framework, ServiceNow provides a single system of record to manage IT service delivery. ServiceNow delivers this with no/low-code capabilities that are inherently mobile-enabled. A broad ecosystem of integrated components provides a holistic solution that spans incident, change, problem, knowledge, configuration, and service catalog management. Additionally, these components provide visibility into the process through dashboards and benchmarking capabilities. Driven by a customer-centric approach, ServiceNow provides a reliable, efficient, and consistent way to manage an ever-increasing landscape of IT services. As a result, ServiceNow delivers an enjoyable and effective customer experience that has historically alluded IT organizations. And that is why we became partners. My week at Knowledge17 started off with a pre-conference seminar. This seminar focused on the key aspects of IT service modernization and the associated journey that many organizations are taking with the ServiceNow platform. While there are similarities, each organization’s journey is unique. There is certainly no “one size fits all” solution. At a high level, these organizations typically move from modernization to transformation to innovation, each phase building on top of the other. Modernization: Begins with the core processes that enable the ITSM function. Typically, this initial level of maturity focuses on processes that provide the backbone for effective ITSM and can represent quick wins within the organization. Transformation: Focuses on transformative ideas that truly shift how the organization thinks about, and manages, its IT processes and assets. Organizations that move to this level begin to deliver full service experience. Innovation: Looks at advanced concepts that provide a platform for agile IT delivery and innovation. It spans all an organization’s domains. Organizations at this level begin to harness the power of a true service economy. The overall theme for Knowledge17 was Working at Lightspeed. In support of this, there was emphasis on avoiding unnecessary customization to the robust ITSM capabilities and remaining out-of-the-box. Every organization believes that they unique and must do things their way to support their mission. But if your “core competency” is your customized ITSM lifecycle, you are focusing time and resources on this. Meanwhile, your competitors are spending their time and resources on revenue generating products and services that (your) customers are buying. By leveraging well-established best practices and processes for service and operations management, your organization can spend more time on the true value creators that will drive your growth and success in the marketplace. 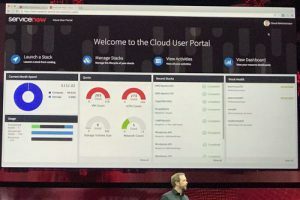 ServiceNow has done a great job of commoditizing these processes by tying them together in a centralized platform, providing both the visibility and intuitive customer experience that helps customers achieve their goals. There were several product enhancements planned for the upcoming Jakarta release that were announced at the conference. The announcements spanned multiple parts of the ServiceNow platform. IT Business Management: Organizations can better control their applications, projects, and financials with new Software Asset Management and Financial Reporting modules. HR: A new Enterprise On-boarding and Transitions module allows organizations to streamline and improve the employee experience. Customer Service: ServiceNow Communities was introduced, which enhances the customer experience by delivering a personalized, integrated, self-service experience that allows organizations to build and foster long-term customer relationships. Security is a particular focus for ServiceNow. They plan to bolster their governance, risk, and compliance footprint with the introduction of a Vendor Risk Management module. 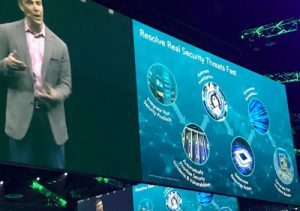 Additionally, ServiceNow introduced Trusted Security Circles to harness the experience and expertise of the ServiceNow customer base. Trusted Security Circles illustrates a benefit of a cloud-based platform that often goes under-appreciated: the ability to anonymize and compile the collective customer knowledge to improve the overall offering. In this case, improved handling of security threats and issues while providing this information to organizations that opt in to the feature. The concept of Intelligent Automation was a common theme that spanned many of the sessions and demos at the conference. SpringNow is bringing machine learning and AI to the platform, with the predictive capabilities this provides. Additionally, they are adding analytics capabilities that help inform the business of what its expected performance will be. Furthermore, it will assist businesses in becoming predictive with respect to the occurrence of service outages and issues. Using several correlation techniques such as temporal analysis and pattern recognition and rule-based correlation, organizations can start to get ahead of the issues that have traditionally plagued them in the past. Ultimately these developments will allow a proactive approach in a world where almost everything has been reactive. This represents a significant step forward in capabilities. Without a doubt, machine learning and AI will change everything about how we do business and ultimately, how we live. Overall, the conference was a great experience. I met a wide range of fellow practitioners, ServiceNow associates, and leadership. In addition, I learned a significant amount about the ServiceNow platform and where it is heading. The conference fostered an impressive sense of learning and collaboration. Moreover, it showcased the excitement and enthusiasm that customers share in using ServiceNow to solve their business challenges. In that spirit, I welcome the opportunity to speak with you more about the conference or ways that ServiceNow might be able to help you work at lightspeed. Feel free contact us or email me directly.